It’s finally that time of year again - spring! The weather is nice out, the sky is clear, and the sun is shining. What marks the beginning of the season the most in Korea is the long awaited and short lived cherry blossoms blooming. I live next to a main street lined with these amazingly beautiful trees. Walking to work these days has been very peaceful and relaxing due to the sight and smell of cherry blossoms. The cherry blossom forecast date predictions occur about a month before its time for them to bloom. Depending upon which area you are living in, the time frame to enjoy the cherry blossoms is slightly different. Unusually, the time to see cherry blossoms when they are the most enchanting is in early April. Being informed about when the expected cherry blossom season occurs in advance is a must, so that one can plan accordingly considering the experience only last about two weeks. Only two weeks. Sad. I know. Still, these two weeks are when traveling around Korea on fun weekend adventures will result in the best photos that you can show off with. 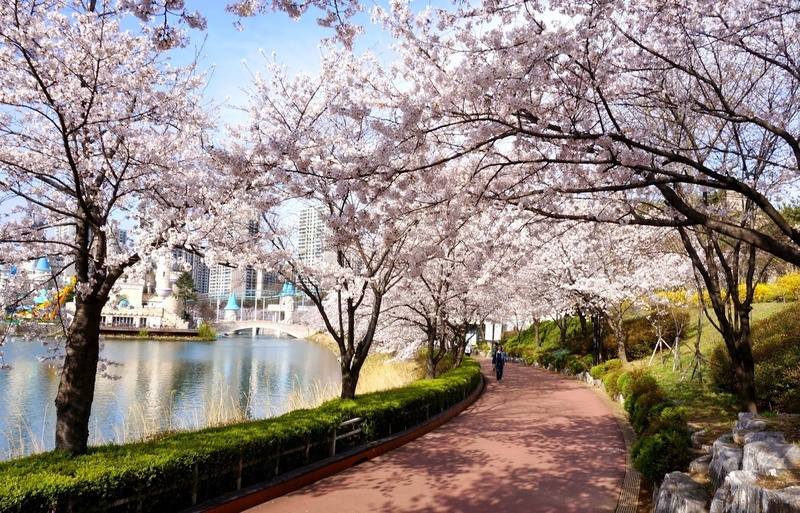 The following are five locations around Korea that offer the best cherry blossom festival experiences. Enjoy! You know about the BIG holidays in Korea, such as Chuseok, and Seollal. But there are a lot of other holidays that are a big part of life here. Usually, Koreans work very hard. They study hard, they work long hours at work. So, that means that when they get free time, they use it to the best of their ability. This leads to some really culturally enriched holidays that are relatively new. They are important for the younger generations, and people are getting into them more and more with each passing year. For example, Christmas used to be seen as only a religious holiday for Christians, and then a couple's holiday. But these days it has become more accepted as a much larger holiday. The same goes for Halloween. Before, only foreigners used to celebrate Halloween. However, now it is becoming a much more significant part of Korean culture. Like these two, there are a variety of interesting and unique holidays, and also some variations that you should know before coming to Korea. It has been one year since arriving in South Korea and beginning my job as an English teacher with Chungdahm April Institute. After deliberating long and hard about my options and wants, I've decided to stay in Korea for at least another year, though I won't be teaching with Chungdahm anymore. With that being said my time with ChungDam has been fruitful, desirable, challenging, and educative in numerous ways, and I'm beyond grateful for the experiences they've facilitated. 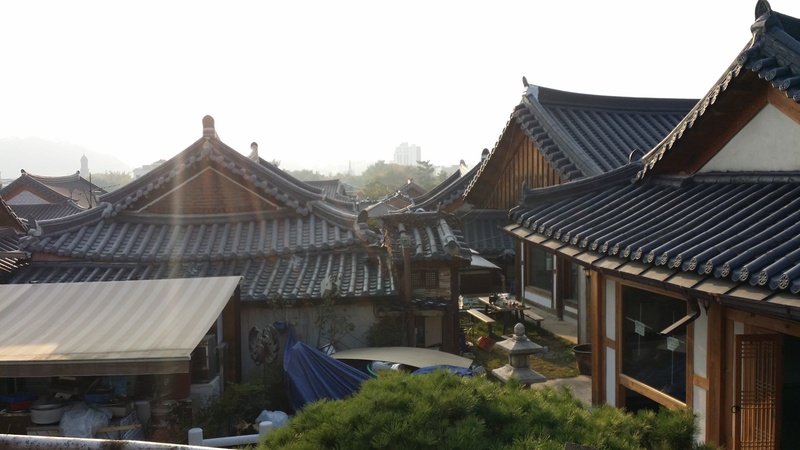 For my final blog post with Aclipse, I've decided to choose three lessons I've learned after living and teaching in Korea for one year, in hopes that my experiences can help, guide, or comfort future expats in South Korea. 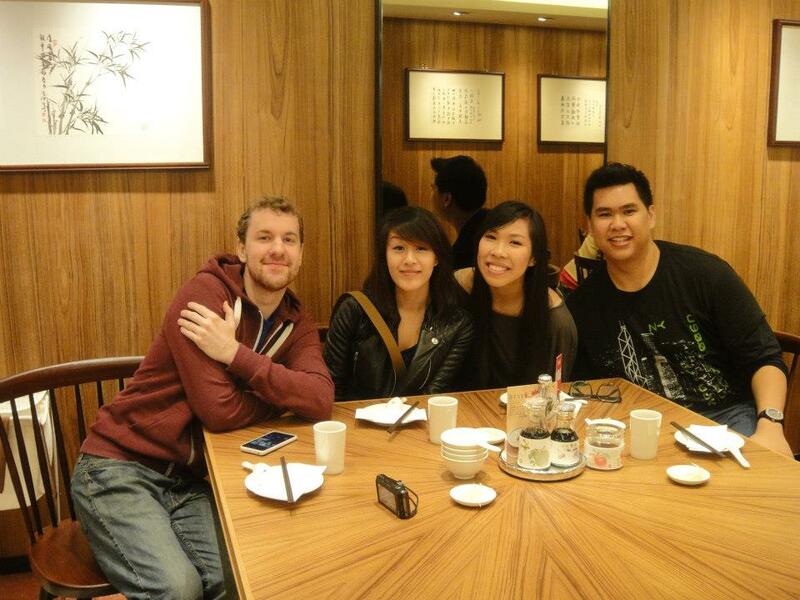 When moving to a new country one of the most difficult cultural things to learn is eating with other people. Naturally, we can all eat. We can follow our own cultures okay, but even then some people don’t completely understand proper eating etiquette. Some people chew with their mouths open, while others use their clothes as a napkin. While you might not think that these things matter, they definitely matter for other people. Therefore, you should learn proper Korean dining etiquette in order to not look foolish during your time living and teaching in Korea. 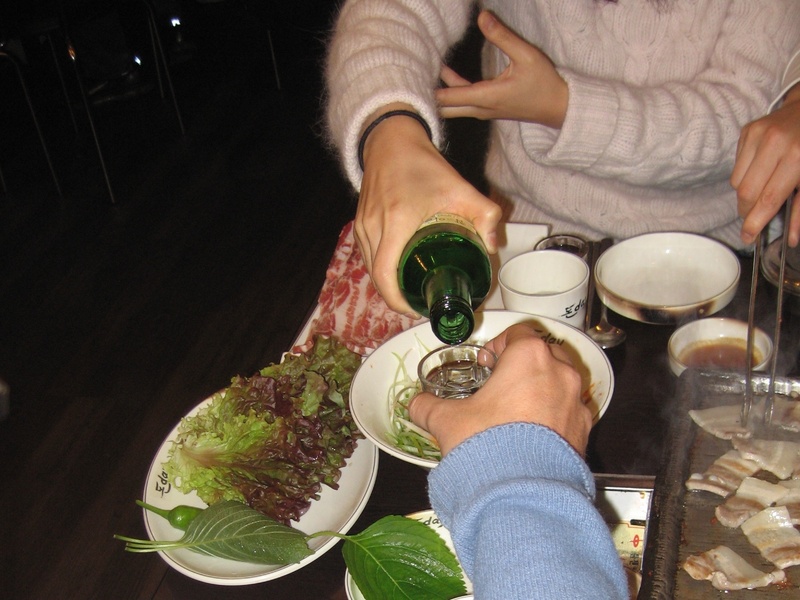 In this blog I will offer some tips about how to properly dine in Korea. Korea is a wonderful place to teach and live in. There is a good balance between first world facilities and the Eastern-Asian experience. The country has boomed into a global metropolis that is internationally popular as well as an economic giant in Asia. 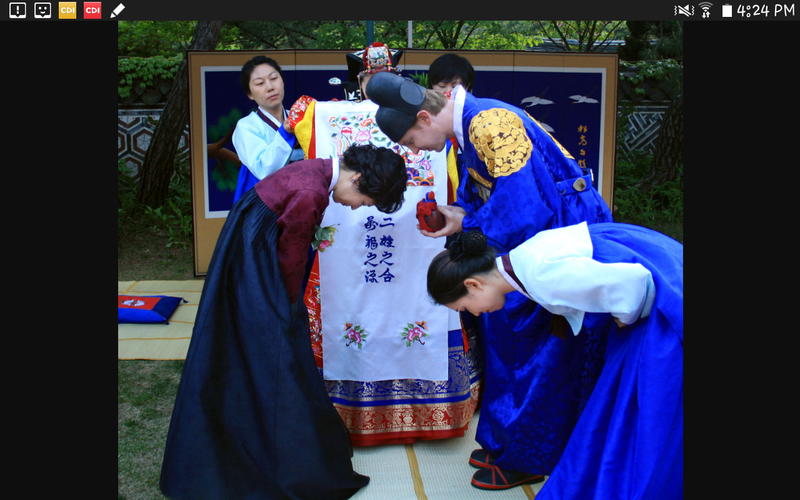 Koreans are very nationalistic and the idea of cultural strength is ingrained in every Korean. It is a proud nation that has unique etiquette and hierarchical relationships and these are a vital part of the country’s everyday life. As a result, it is imperative that you try to know more about the culture before you begin teaching in Korea to avoid offending older generation Koreans. Usually, your branch manager and staff will take a greater liking to you if you show an interest in their culture and act in the correct manner. Always remember, that what you consider to be polite, is not always received as polite. Be humbled and do as the Koreans do in Korea. Below I have provided five cultural differences that you should be aware of prior to your departure. Most of us know the term, and it’s self-explanatory enough. When two people have very similar or even identical thoughts, behaviors, clothing, etc., it’s common to hear, “Twinning!” It’s a play on words – the hybrid of ‘twins’ and ‘winning,’ to imply strength through sameness. Well South Korea is fantastic at ‘twinning,’ and purposefully so. 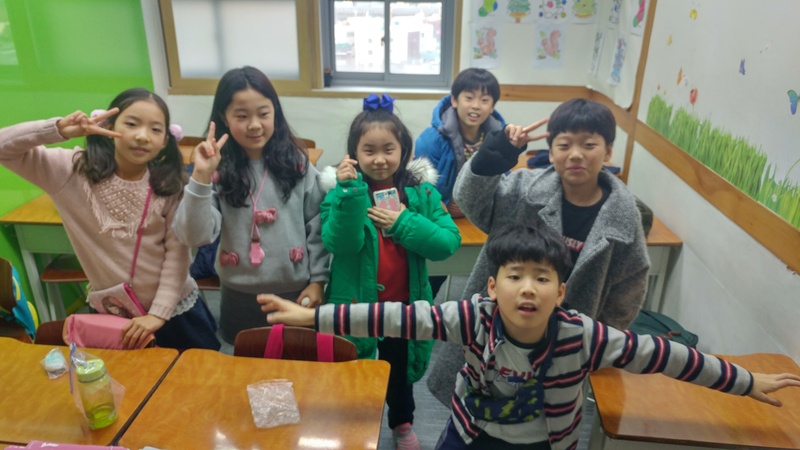 Living and teaching in Korea creates opportunities to learn a new culture and speak a new language. 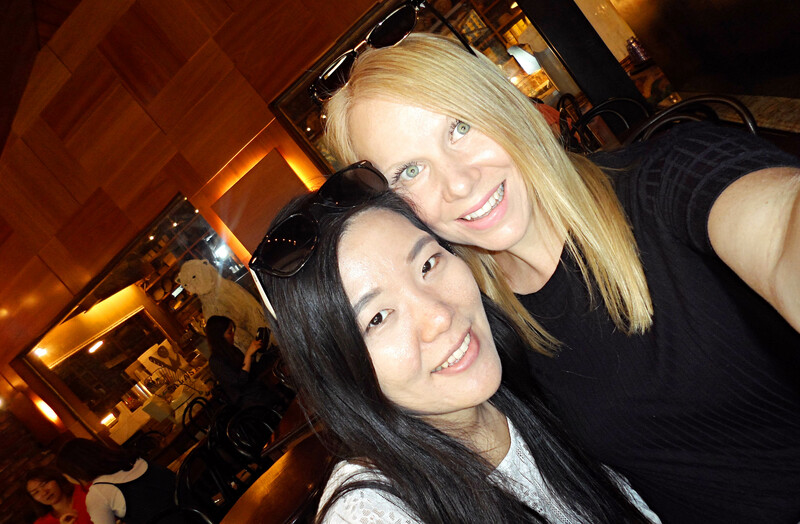 With this experience arises the chance to make life-long friends across cultural barriers. Like every encounter living abroad, you have to put yourself out there and do what the "Romans do in Rome" and as in Korea..."Do what the "Koreans do in Korea." It is summer of 2016 and I have been teaching in Korea and living here for almost 5 years. I thought I would only be here for 1 year and head back to the U.S., but I kept finding myself wanting to stay. Some of the reasons I’ve decided to stay are for financial reasons while others are for personal reasons. Below are the top four things that I’ve learned while living abroad. Spring is just around the corner! I look forward to the blooming cherry blossoms, blue skies and delicious strawberries everywhere! Korea is a popular travel destination during the months of April and May, because of the great weather and stunning Spring atmosphere. The scenery is magnificent, from the Canola flowers growing inside Mt. Hallasan's crater to the perfectly pictured Yeoido Cherry Blossom trees. 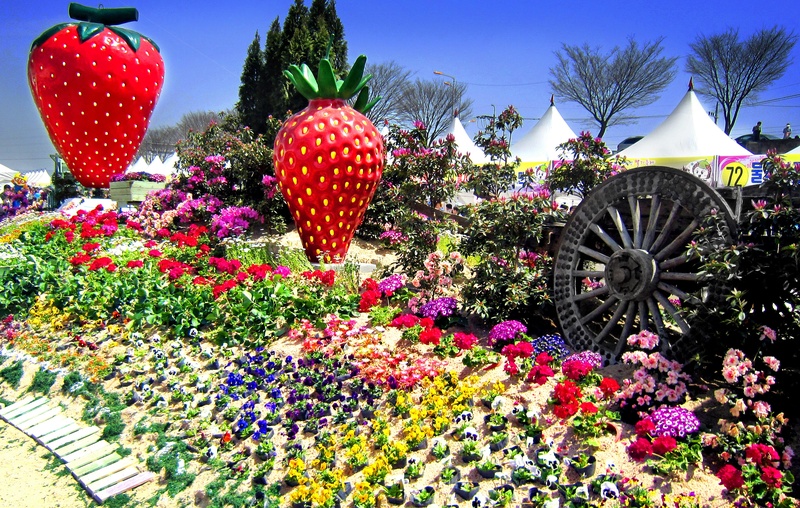 Korea really is superb during this season and there are a lot of festivals to celebrate the arrival of Spring in Korea! Jeonju is one of the most popular places in all of South Korea for food and is a must visit during your teaching experience. Located in North Jeolla Province, this is a must go to destination if you want to experience the old traditional lifestyles. A group of ChungDahm teachers decided to take the 3.5 hour bus ride out of Seoul to experience traditional Korean culture.